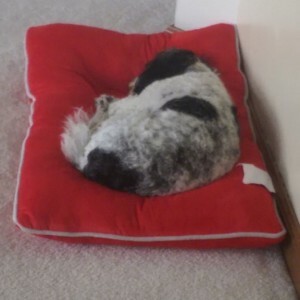 Back during the summer, I got rid of a dog bed that Diva Dog totally refused to sleep in (as I mentioned here). My daughter bought another bed in a style more to the dog’s liking and put it next to a wall where the dog often napped. It has the words “Gone Fetching” in the middle, though you can’t see them in this photo with the dog snoozing there. There is always one constant … change. I have to totally agree with Isadora — change is the one constant we must all face! Some are small, and some are large!! Thank you for sharing and being a part of Nurturing Thursday community. I appreciate your participation each week. Thanks Becca, I’m glad you have kept the community going for so long! Hi Meg, hope you are doing ok, changes are always happening , outside and inside ourselves, our life.Congrats to your girl for the new job. Have a great week. Hi Elizabeth, thanks, wishing you a great week too!